I've been shopping for a case for my iPad mini for the past couple of weeks. There are a ton of great cases on Etsy, so I was just planning to buy from a handmade artist. As I've been making, making, making things for work purposes (I'm working on an ecourse, starting ornament season, etc), I decided I needed to make a craft for myself. 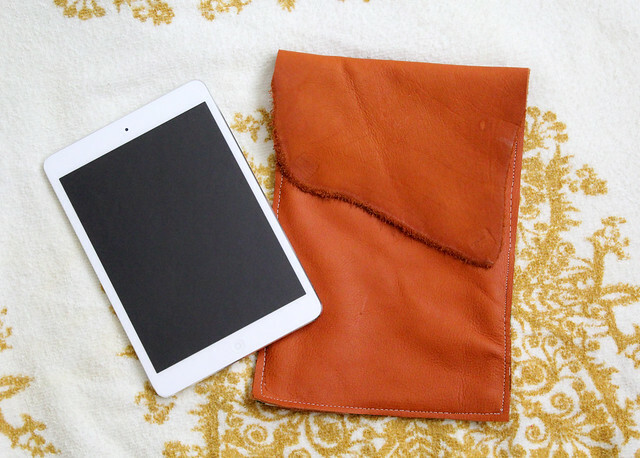 I visited our super duper leather store here in town, Springfield Leather Co, and found the perfect scraps to make my own iPad case. 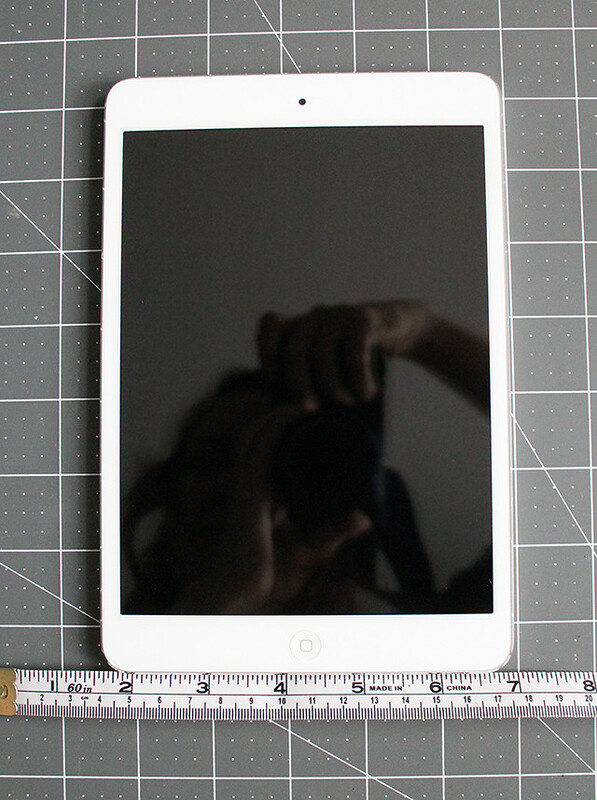 To get started, I first measured my iPad. 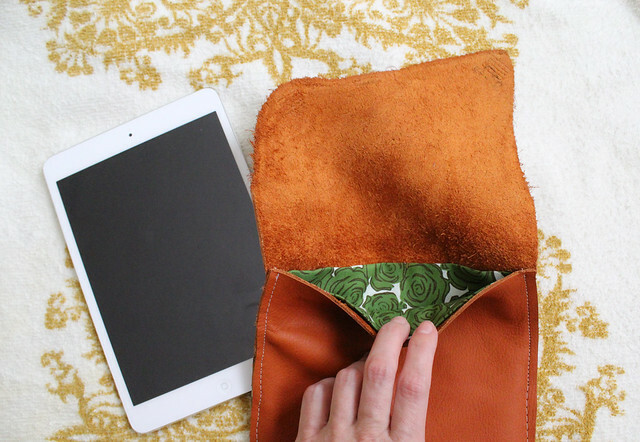 There's no point in making a case if your electronics won't fit inside, amiright? I decided to make mine 8"x10". Next, I used my rotary cutter and straight edge ruler to cut one 8"x10" rectangle from my leather. I never knew love until I met my rotary cutter. It seriously makes cutting so much simpler and cleaner. After I cut out the first rectangle, I used it as a template for the next one. 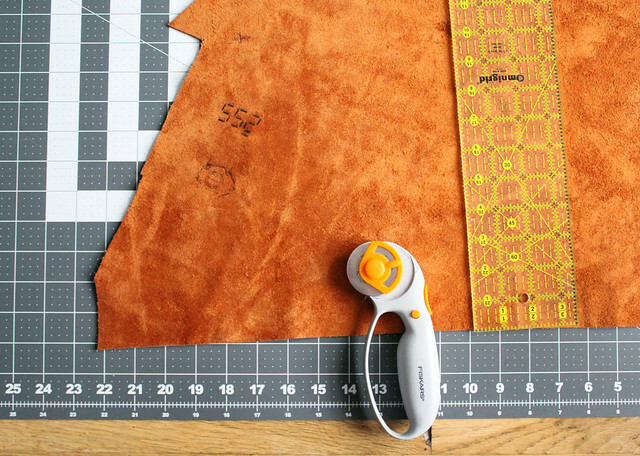 I knew I wanted to use the natural edge of the leather scrap for the flap, so I traced around the rectangle and continued my line upward, so the natural edge was incorporated. 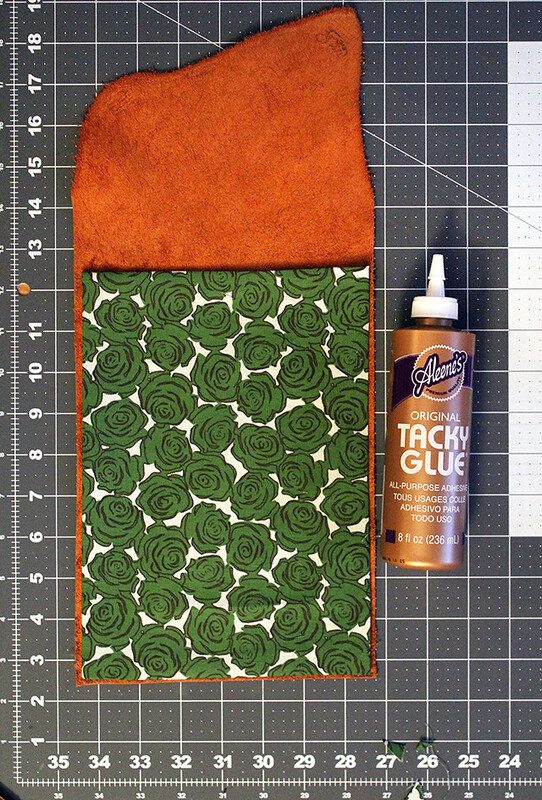 Next, I chose the lining fabric and cut it out. 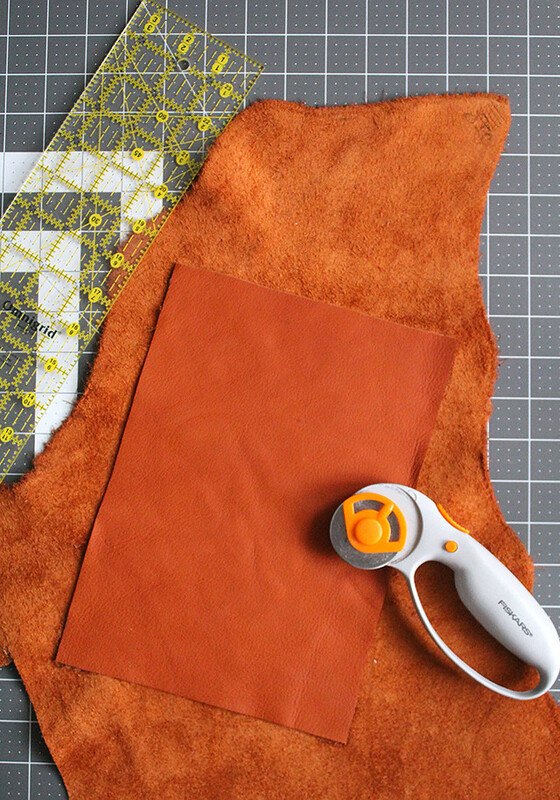 I pressed the edges with my iron, keeping in mind that the lining needed to fit just inside the leather pieces. After the lining was pressed, I used Tacky Glue on the corners to keep the fabric in place while stitching. After the glue was dry, I set all the pieces together and ran them through my sewing machine. I have to be honest, it was a little tricky getting all these pieces through the machine, but with a little extra guiding, I was able to get them through. I used glue to secure the top edges of the lining in place and once that was dry, I was all done! My little case is perfectly imperfect and I love it. Sometimes you just have to make a little something for yourself-- it's good for the creative soul! Ooh so cute! I would have never thought of putting in a pretty liner. Where did you get your socks? They're so lovely! This is so cute, Katie! I love it :). 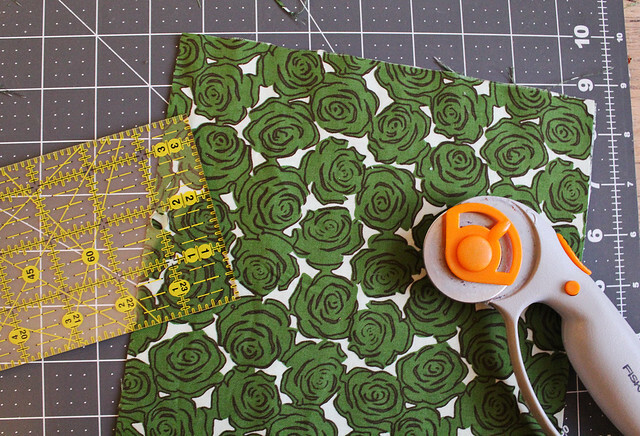 you are definitely spot on with the rotary cutter love. I can't believe I ever worked without one. I love this case. I have been looking for a case for my ipad and this one definitely fits the bill...and fits my ipad...ha! OMG! I absolutely love this! It's such a cute idea. And I love the fabric you picked. I definitely want to try making one of these. Maybe even more for Christmas gifts! Thanks for sharing. I love your dress! Will have to try and make this. I just found your blog! I am loving your DIY section - maybe I can finally find a DIY here that I won't butcher ;) I am especially loving this case! The slightly distressed look is awesome... and now it makes me want to try making a little clutch with a strap. Adorable!